We invite photographers and other image makers from all disciplines to enter the Wellcome Photography Prize, which celebrates compelling imagery that captures stories of health, medicine and science. We’re looking for entries that can captivate people with stories of science and medicine, and start conversations about some of the health challenges humanity faces today. PRIZE DETAILS: The winner of each category will receive £1,250, with the overall winner receiving a prize of £15,000. Prizes will be presented at an awards ceremony in London on 3 July 2019. If you’re a winner, we will also offer you opportunities to take part in events to showcase your work to a range of audiences. Our winning images receive extensive international media coverage each year. Not eligible to enter? - Find contest where you are. COPYRIGHT: For the purpose of this section on copyright and permissions, ‘image(s)’ includes image meta data and any written captions or other text submitted with the image(s). The entrant, or their representative submitting images on their behalf, must be the copyright holder or have permission from the copyright holder to submit images to the prize under the terms and conditions specified here. Copyright holders retain copyright in their work. 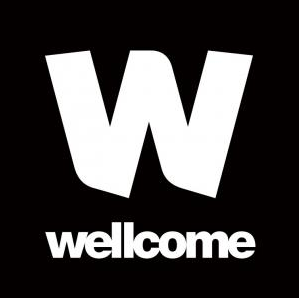 for shortlisted and winning entries only, on a perpetual basis in connection with the prize (as described above) together with use for merchandising purposes and for any uses connected with Wellcome’s charitable mission to improve human health. When using an image, Wellcome will reference the particular health, medical or scientific story or topic to which it relates, wherever it is reasonably practical to do so. The above licence will be royalty free, save in connection with use on merchandise which generates a revenue for Wellcome, for which use Wellcome will offer the copyright holder a reasonable fee. Wellcome may grant sub-licences to its partners and the third parties it works with, solely in connection with the purposes permitted above. For the avoidance of doubt, Wellcome no longer operates a commercial image library and will not sub-licence any images to third parties for a fee. Copyright holders will be credited when their image is used. USAGE RIGHTS: For the purpose of this section on copyright and permissions, ‘image(s)’ includes image meta data and any written captions or other text submitted with the image(s). The above licence will be royalty free, save in connection with use on merchandise which generates a revenue for Wellcome, for which use Wellcome will offer the copyright holder a reasonable fee. Wellcome may grant sub-licences to its partners and the third parties it works with, solely in connection with the purposes permitted above. For the avoidance of doubt, Wellcome no longer operates a commercial image library and will not sub-licence any images to third parties for a fee. Copyright holders will be credited when their image is used.